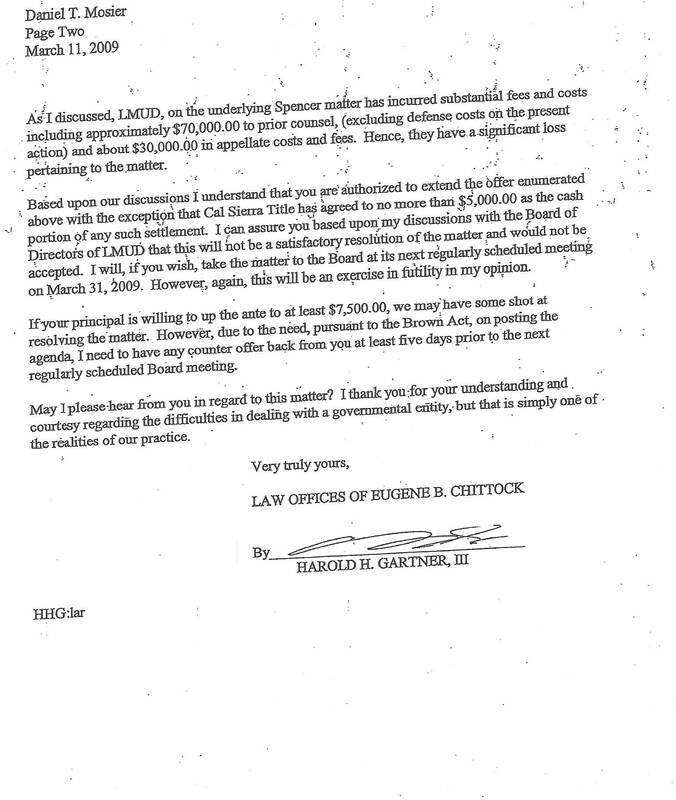 Chittock attempted to make this case appear as though LMUD had filed the lawsuit and was the Plaintiff. 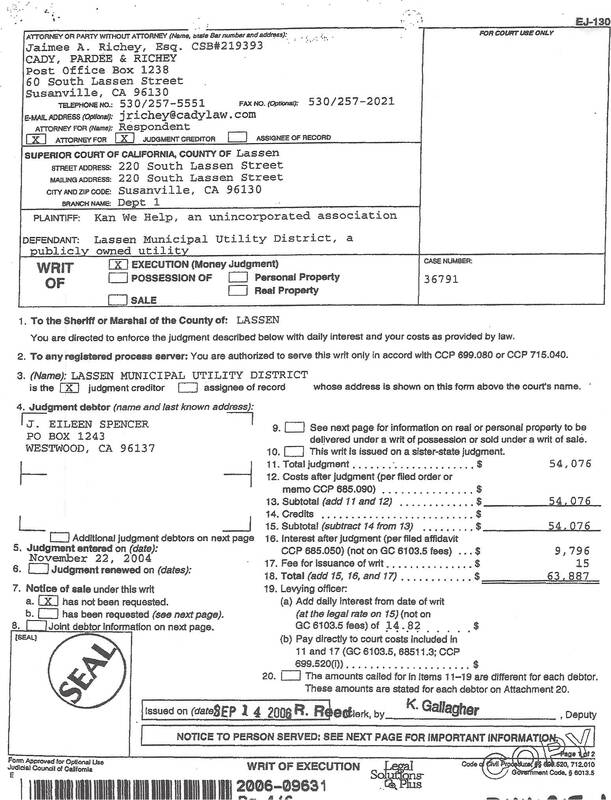 Cal Sierra filed this lawsuit against LMUD for their client David Jenne. 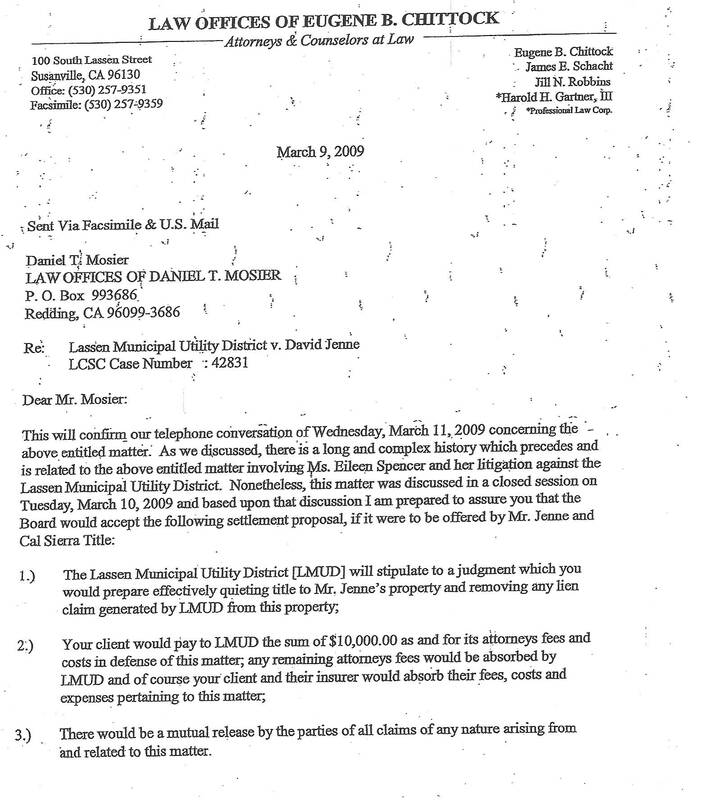 The reason for the 3/9/09 letter was the Jenne v LMUD lawsuit and LMUD's claim that it would settle the Writ of Execution they filed against KWH with the Jenne property. 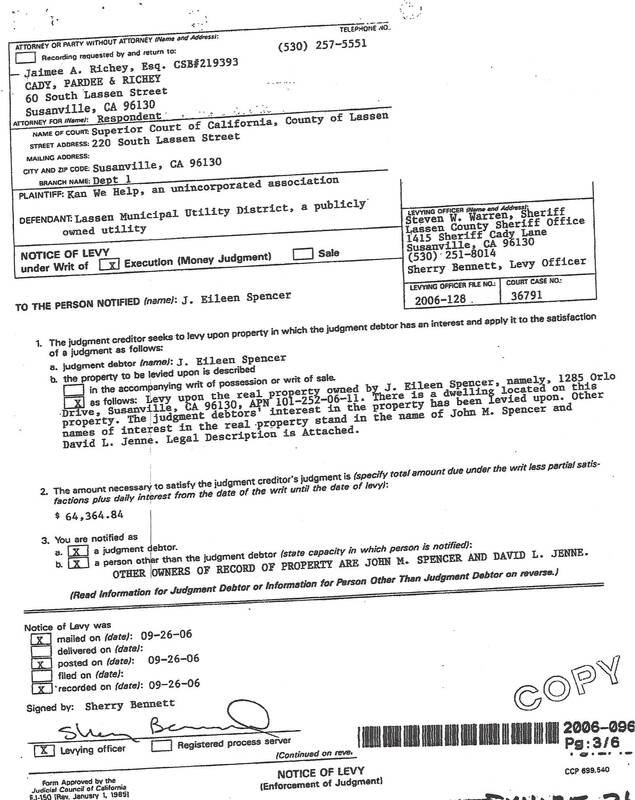 LMUD attempted to sell this property which prompted the lawsuit against them.